Sonic Forces – In the darkest of times, the world needs a hero. Fight through a world destroyed by Dr. Eggman and a powerful new villain in Sonic Forces, the new fast-paced action platformer from the team that brought you the Sonic Colors and Sonic Generations games. 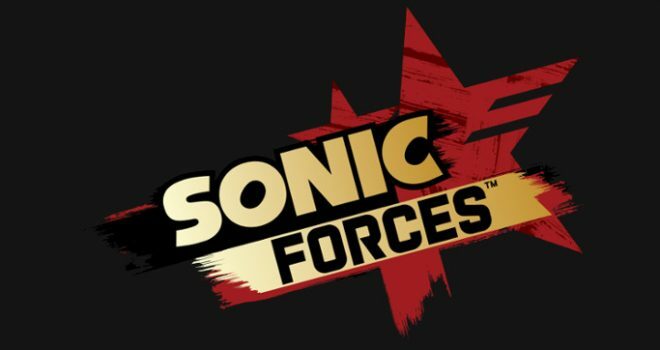 Sonic Forces lets you speed through rolling ruined landscapes as Modern Sonic, catapult past perilous platforms as Classic Sonic and use powerful new gadgets as your own Custom Hero Character. Sonic Forces will be available on November 7th. Sonic the Hedgehog My Nintendo Rewards – The Sonic Forces game arrives Nov. 7 on Nintendo Switch. My Nintendo is celebrating the occasion with Sonic the Hedgehog rewards, including wallpapers, a Nintendo 3DS theme, and 50 percent discounts on some of Sonic’s greatest hits! See the full selection of available Sonic the Hedgehog My Nintendo Rewards here. Phil’s Epic Fill-a-Pix Adventure – Fill-a-Pix is a new picture logic puzzle from the makers of Pic-a-Pix Colour, but with huge, scrollable puzzles up to 100 squares wide, you’ll reveal pictures much larger and more detailed than ever before! The unique Smart Cursor makes playing fluid and satisfying. Options to show where to go next and check your progress so far mean you’ll never get stuck. Often described as a mix of minesweeper and picross, each clue number shows how many squares in a block of nine – the clue itself, plus the eight squares around it – should be filled in black. You only need to learn this one rule to start playing Fill-a-Pix but to make sure you understand all the techniques, a full interactive tutorial is included! Tomeling in Trouble – Battle head-to-head with a friend or family member in the MOBA-inspired Sanctum mode. In this mode, the heroes on both teams need to defend their own portal while destroying the portal of the other team, with the help of minions on each team. A single-player practice mode is also available to master the different spells each hero has to offer. Multiple hero options make this competitive fun for all ages! Power Golf – Power Golf sports a perfect combination of simple-yet-realistic controls and beautiful graphics. Swing away on 18 lush holes in one of three different game modes: the single player STROKE PLAY mode and the multiplayer MATCH PLAY and COMPETITION modes. Enter tournaments as one of three different characters. Wind strength and the slope of the green add extra challenges to each hole. Compete against other players in the standard NORMAL MATCH or ante up one of your clubs in the unique CLUB MATCH.